Iphone X was talked about as a failure yet consumers still bought it. 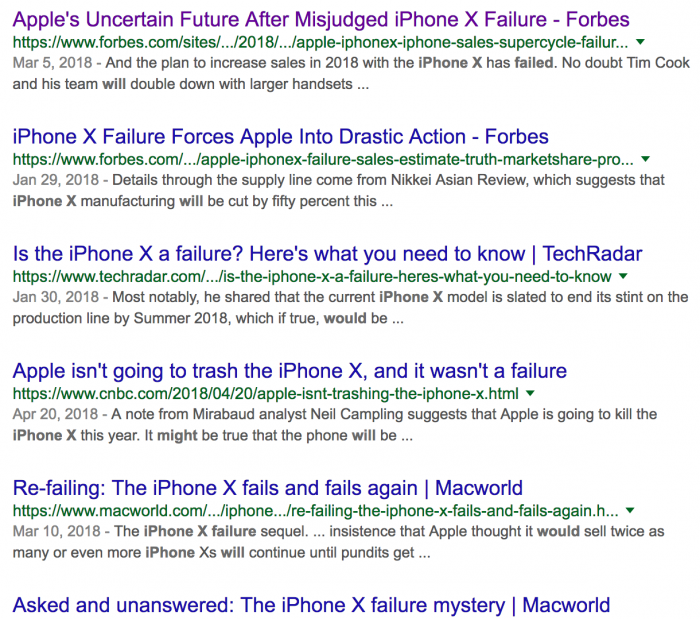 Countless articles such as this questioned and stated that the iPhone X was a failure. Yet come early May and the Iphone X which costs roughly $1000 is the best-selling smart phone for early 2018. Apple shipped 16 million iPhone X’s in the first 3 months of 2018. A phone touted as the most breakable and expensive defied the odds and sold. It’s no coincidence though, Brand power is a strong variable and Apple have the strongest in the smart phone market. The iPhone X was Apples lure, released slightly after its main line of iPhone (8 and 8plus) it was a big change-up to how an Iphone has looked in the past. The whole front face was the screen except a notch for the camera and speaker, This notch would go on and cause havok for app UI designers and be complained about on forums and Reddit. The iPhone X bought with it wireless charging, an OLED screen and facial recognition to unlock the phone. Apple took somewhat of a risk at least that’s what it would appear. The incredibly high price tag through wood onto the fire of those anti Apple and im sure those at Samsung in sales and marketing would have excitedly got to work about doing better and cheaper….looking at it now, the expensive and ‘highly breakable’ phone has won the battle for now. With negative press and impressions on a product you’d expect it to fail or have very little sales but the iPhone X being Apple’s creation didn’t. It shows you cannot whisk away years of the brand perception Apple has. Quality, premium, innovative, stylish and the best. Apple have had high price tags for years, seen as a status symbol and the creator of sleek-looking products. 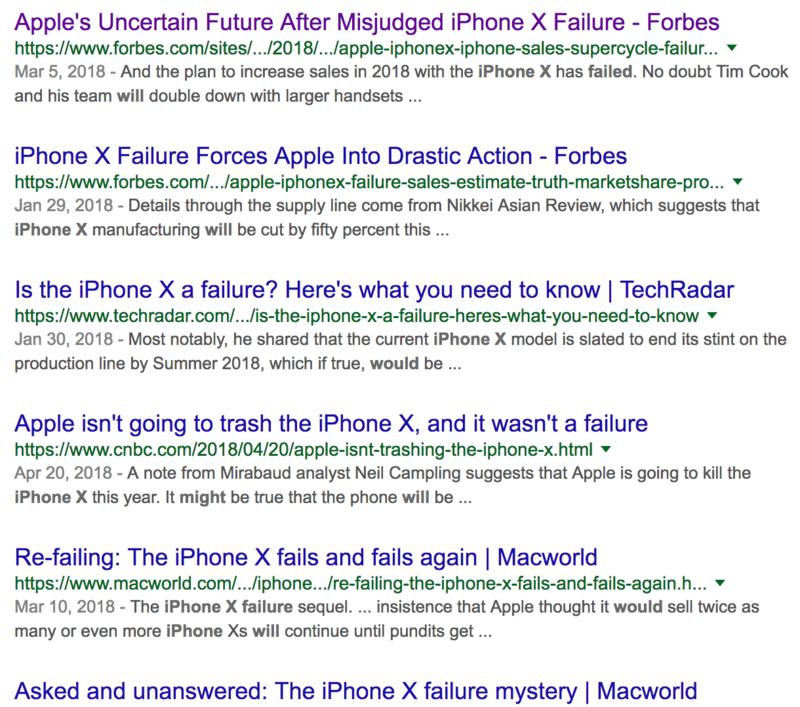 Nothing changed with the iPhone X except a bunch of “analysts” looking for an easy article or to create hate. Apples somewhat bold move away from its core product line has worked. Whats next from Apple is the unknown, will they push more boundaries? or fall back and take the easy way of small upgrades to the iPhone line?